Totally useless post just to say that I finally moved entirely to Antergos from Arch, after about 5 weeks of fooling around it and making sure I was doing the right thing. That’s right, baby! Since I’m exclusively a Linux user, I’ll be using it for both entertainment, work and study. My 7 year old box is a Quad Core i5 760 with 8GB RAM, 1TB HDD and a Nvidia GTX 560 Ti. I’ll be using i3 WM on top of an LTS kernel and proprietary drivers. I finally moved entirely to Antergos from Arch, after about 5 weeks of fooling around it and making sure I was doing the right thing. That’s right, baby! Congratulations! Hope to see you around . @Krugar Good to see that you moved to Antergos!!! Thanks both. I will surely do, @joekamprad. As soon as I am settled. I have in fact only recently switched to i3 from Xfce. So I have nothing much of use to anyone at this point. But will surely do soon enough. I also look forward to contribute to the Antergos development in the future in any way I can. @Luna4Prez welcome to our lovely community then! @joekamprad I am pretty new to Antergos. I used it a while back but back then it still had a lot of problems with stability. I ended up leaving it for a while to try Manjaro which I heard was more stable. It broke on me 3 times after installing in one night. I got fed up with it eventually because of its crashes, slowness, and bugs. I still like Manjaro, and I am a huge fan of its community, but I don’t think it’s for me. I started using Zorin OS for a while and I even used the Ultimate edition. The thing was very buggy and had ~20 preinstalled games which I was not a fan of. Under light use, I had problems with the theming breaking and not applying properly and I couldn’t install other themes because Zorin is using an outdated GTK system. I tried asking simple questions on their forum and it got my IP banned. If you’re wondering what the questions were they were “Zorin themes not Updating” and “Is there any way of getting KDE on Zorin?” I recently came back to Antergos after reinstalling Zorin OS 12 3 more times and it’s been great. I have had some problems with Synaptics not working and that was about it. Most of the bugs have been patched and it seems like a very reliable os that won’t break on me! This community is great and I usually get responses quickly. In fact, as I’m typing this I got a response about a post I made about 10 minutes ago! I feel like I can finally stop distro-hopping because this distro has it all, stability, reliability, security, updated software and Arch Linux-based! I feel like this community may even be better than Arch itself because I got banned from Arch’s site as well because I asked a question about whether or not Manjaro was Arch Linux. Thank you to everyone for making such a great community and hello Antergos! Welcome to Antergos then @CadenMitchell . I got banned from Arch’s site as well because I asked a question about whether or not Manjaro was Arch Linux. hehehe… we get that a lot over here . It seems that many of our users regularly get banned from the Arch Forums for apparent grievances, such as suggesting that Arch may not be the best, among other things. Over here, elitism is NOT the practice, and all questions are welcome! No matter how simple they may be. Antergos is for everyone, so enjoy! Same here actually !!! Zorin was what got me hooked on Linux for it’s advanced and modern GUI and familiar feel. After using it for a little over a month however, I was ready for something new. Like you, I then moved here, to Antergos. It seems we share many things in common friend ;). May your experience with Antergos be hassle free and exceed greatly your expectations. And with that, welcome to the community! It seems that many of our users regularly get banned from the Arch Forums for apparent grievances, such as suggesting that Arch may not be the best, among other things. Yep. Arch has a reputation for censoring their content. Apparently, if someone posts things trashing systemd on there, it gets deleted !!! All in all, Arch is certainly neither beginner friendly nor all-inclusive in it’s content, which is exactly why other distros like Antergos and Manjaro exist to help bridge that gap ;). It is easy to say something against ArchLinux community and their warrior alike behavior. But the rules on Archlinux community are the rules on archlinux community, read first, and act according to your feeling to join, or not to join! Archlinux Community is a Warriors Ship, they are doing great work for us! We should not act against them. We should build up a communication in peace and understanding. I think that Antergos a place for new rookies, and when they grow to soldiers they will have an impact to Archlinux as well! From inside the bubble of linux it looks like it is big, but in the end linux need a lot more users and developers to get the work done. Good point @joekamprad . Thank you for bringing in the bigger picture! To begin with, I’m just a High School Student and I like programming (have been coding for around a year, but I was switching between languages very often and for now Rust seems to be perfect for me so I’ll stick with it for a while). I started playing with Linux, I think… In January, because I was playing with Ruby and Ubuntu seemed to be more suitable for that than Windows and in September I finally decided to fully replace Windows with Ubuntu, but it was too slow (too many freezes, dunno why tbh) so I started playing with Arch and Manjaro, but updates on Manjaro seem too slow for me, so I was looking for something else (too lazy to install Arch). And here I am, Antergos is enough for me now. For now, I’m trying to decide between vim and neovim for Rust, so I don’t think I’ll be very active in the forum. Over the years, forgot how many, I have used a multitude of different distros. About two years ago I came across Antergos. After some struggles with Cnchi at the time, I finally got it to replace Manjaro. I liked Manjaro, and still do, but Antergos just felt right. Actually, it is a boring distro… There is not much that does not work or goes wrong. I love the community, and the developers and moderators do a great job. Maybe not as often as I would like to, but where possible I leave my two cents to try to help to solve problems on the forum. Btw, I am also an administrator of a FB group that is mainly focused on Antergos, and Arch in general (Antergos & Arch). We could use some more input there too. So, if you have time, just drop by to say hello. Just wanted to say hello :) I just migrated to Antergos from Manjaro. I’d been using Manjaro for almost a year now and have always wanted to give Antergos a try, and well… The opportunity presented itself last night. So now I’ve got the KDE version of Antergos running on my new Acer Swift 3, and it looks great! @grafficlyrix ja bitte? yes please? 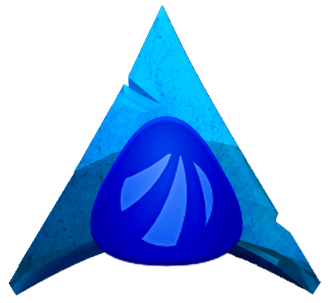 I was using openSuse but got bored and wanted to try arch but without going through the installation so i found antergos.